Christmas is a special time in South America and Christmas in Peru is a very important holiday. While there is a strong indigenous population, most Peruvians are Roman Catholics. With this large population of Roman Catholics, Christmas is one of the most important times of the year. 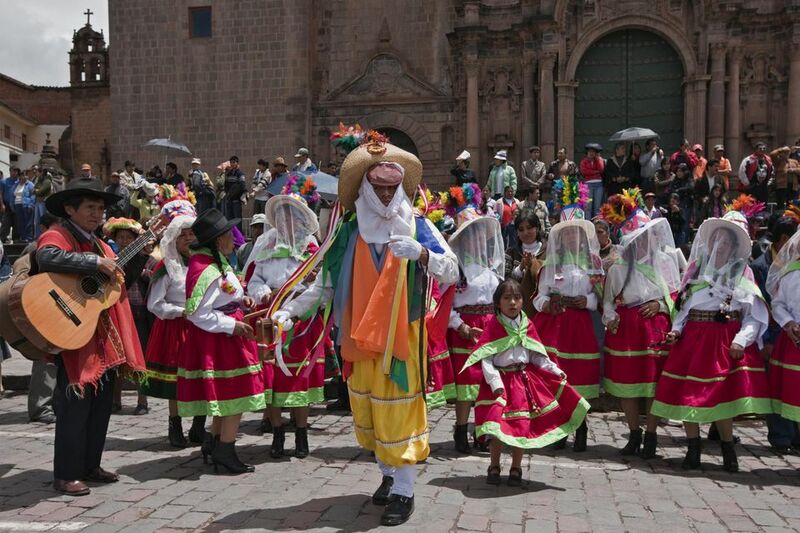 While some celebrations are similar to those in Europe and North America, there are some unique traditions that reflect the nation's history and make Peru a special place to be during the holidays and one that makes for a great holiday destination. North Americans typically celebrate Christmas on December 25th. However, in Peru along with many South American countries like Venezuela and Bolivia, celebrate the most on Christmas Eve. In Peru it is known as Noche Buena or Good Night. Attending church is a big part of the Christmas Eve celebration. Peruvians attend the misa de gallo or Rooster Mass beginning at 10 p.m., which is a bit earlier than some other South American countries. After mass, some households begin their cena de navidad (Christmas dinner) at midnight, while others first let the children open their gifts. Either way, both the meal and the opening of gifts take place around this time (with some exceptions in the Andean region, where gifts are opened on January 6 during Epiphany, or the Adoración de Reyes Magos). A brindis (toast) normally takes place at midnight. With a greater outside influence from North America and Europe Christmas trees are slowly starting to appear. However, traditionally the gifts brought by Santa Claus, or Niño Jesus and placed near the retablo (manger scene) and most homes still do not have a tree. In Peru the nativity scene is very popular and can be found in every home. These scenes are often large, intricate and elaborate (sometimes taking up an entire wall), and feature statues of the Three Wise Men, Jesus in the manger and other nativity figures. You’ll sometimes see a particularly Andean twist on the typical nativity scene, with llamas and alpacas replacing the more biblical images of donkeys, oxen and camels. Smaller scenes are known as retablos and are a form of folk art with paintings and carvings from wood, pottery or stone of religious events. Retablos are three-dimensional scenes, normally contained within a rectangular box with two doors on the front. These are particularly relevant in Peru as it is what priests initially used to try to convert the indigenous population to Catholicism. You’ll see them on sale in markets and souvenir shops throughout the year, especially in the Andean regions of Peru. The scenes contained within a retablo may depict historic or religious events or simple scenes of everyday life, but Christmas retablos typically depict the manger scene. As around the world, food plays an important role in Christmas celebrations. After mass it is common for families to sit down to a traditional roast turkey dinner or lechón (roast suckling pig) with a variety of salads and side dishes such as apple sauce and tamales. There are regional variations as well, such as fish dishes on the coast, a classic Andean pachamanca in the highlands or a roasted wild chicken (gallina silvestre al horno) in the jungle. Like the corn dough based tamales on the table, most of the food has the Peruvian gastronomy flare and is a bit spicier with aji hot sauce is also available on the side. While adults toast the event with champagne, children drink hot chocolate that has a delicious twist with the addition of cinnamon and cloves. For dessert it is common to eat panetón, a Peruvian fruit cake with Italian origins. Social events called chocolatadas, in which people gather to drink hot chocolate, take place during the Christmas period. Churches and other community organizations host chocolatadas for poor communities, giving free hot chocolate (and panetón) to families as a charitable festive treat. After dinner many take to the streets to greet friends and neighbors to continue the celebrations. While it is technically illegal, fireworks are abundant and can be seen throughout the night. After the children finish opening their presents and view the initial light show it is time for them to head to bed. This is when the real celebrations begin for adults as they push away house furniture and put their dancing shoes to salsa the night away. These parties can last quite late and into early morning, for that reason December 25th can be quite uneventful. Peruvians are on the move in the days just before and after Christmas, traveling by bus or domestic airline to or from the family home. Bus and plane tickets sell out quickly and some companies may raise their prices. If you want to travel during the Christmas period, it’s a good idea to buy your tickets at least a few days in advance. December 25 is a national holiday in Peru. Many businesses and services shut at midday on December 24 and reopen on December 26. Some supermarkets, pharmacies and restaurants stay open for more hours than most, but you should buy all your essentials before December 24 just to be safe. If you want to speak with family and friends back home on Christmas Day, you should be able to find an open internet cafe or call center (locutorio or centro de llamadas) somewhere in most cities. Otherwise, you’ll need to use the internet or telephone in your hotel or hostel. Even if you aren't religious it's difficult not to get caught up in the beauty of Christmas in Peru. It's a great time to immerse yourself in the culture. Traveling during the Christmas holidays can be a fantastic way to experience life in Peru but beware there are some drawbacks. It is very uncommon for stores to be open on Christmas Day and it's important to plan ahead and get any necessities in advance.